Includes 16 courses for $499/year. The full course is 18 minutes long and available in a number of affordable formats. 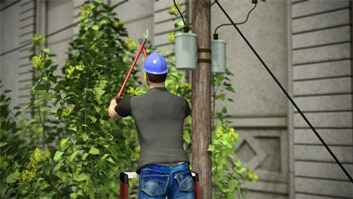 Switches are used to open and close electrical circuits when turning lights on and off. 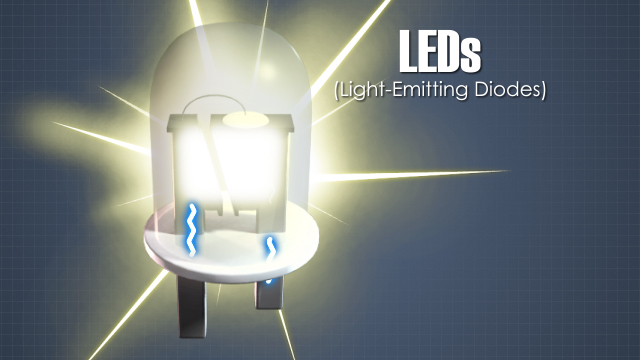 LEDs are semiconductors that generate light when an electrical current is added to them. 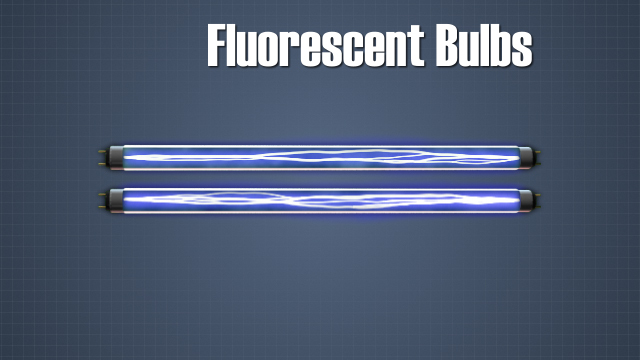 Fluorescent bulbs work by sending electrical currents through tubes filled with gases. All workplaces depend on high quality lighting. In addition to providing illumination of workspaces, good lighting also plays a role in enhancing employee satisfaction and performance, as well as providing general comfort and safety. It reduces the risk of eye strain and any of the physical symptoms that accompany it, including headaches or neck pain. In the industrial setting, lighting does all this, plus it provides clear visual indication of functions, and control of various processes. 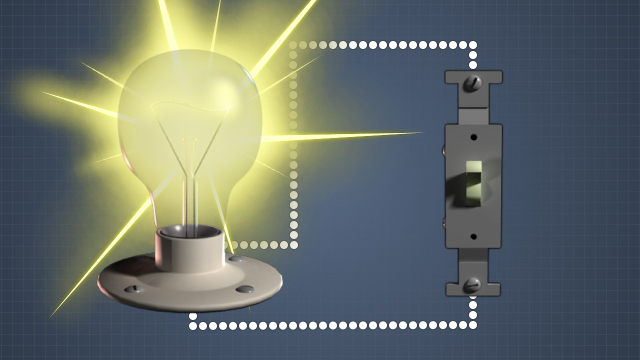 This module will describe different types of lights and their common uses. 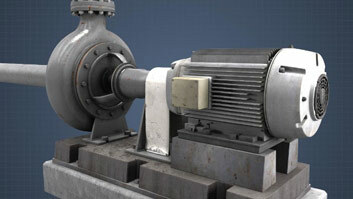 What's the purpose of lighting in an industrial facility? 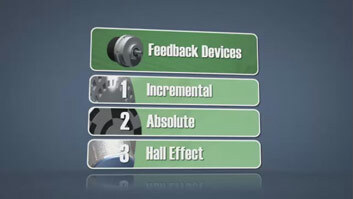 Lighting is typically used to illuminate the workplace, to give a visual indication of events occurring in the industrial process, and to control processes in electrical control circuitry. 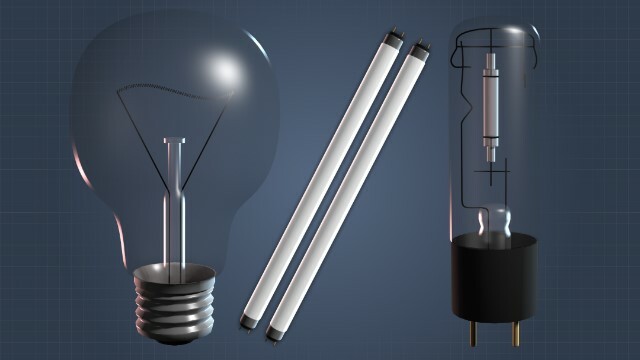 How does an incandescent bulb work? Incandescent bulbs uses heat caused by an electrical current to generate light. 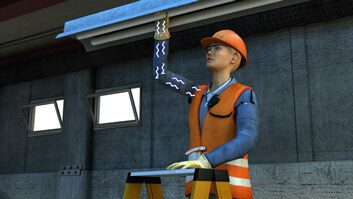 When electrical current passes through a wire, it causes the wire to heat up. The wire, or filament, gets so hot that it glows and gives off light. When are High Intensity Discharge (HID) lamps used? HID lamps are used when high levels of light are required over large areas, and when energy efficiency and long life are desired. What is a lighting contactor? A lighting contactor is a form of relay located in a branch circuit and used to switch one or more pieces of utilization equipment. They allow you to connect higher aperage loads to a lighting control device. What are lighting ballasts designed to do? Ballasts limit the flowing current, and they kick start the lamp each time it's extinguished. Socket holders allow the bulb to be secured into place, and also enable switching bulbs when needed. They typically come in plastic, ceramic, or metal, depending on the type of bulb they support. 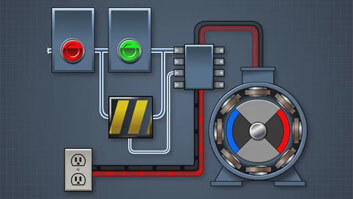 Switches are used to open and close electrical circuits when turning lights on and off. Switches can be single, referred to as single-pole, or multiple-way. Individual switches are helpful, as they allow workers to turn off unnecessary lamps that are not in current use resulting in lower electrical costs.